Print Scotland’s vision is to be an effective association representing the interests of the Scottish print community. We aim to maximise support services to all subscribing members whilst promoting the Scottish Apprenticeship Scheme and encouraging equality, diversity and inclusion within the print industry. 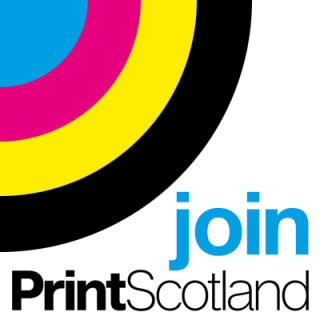 Print Scotland benefits both its members and the Scottish Economy. Printing is an essential part of the economy. This sector is large and serves all parts of the business and consumer markets such as central and local government, financial services, retailing, distribution, travel and tourism and the manufacturing industry. It produces a wide and varied number of products ranging from newspapers, books and magazines, through to money, passports, signage and printed packaging.